This mixture is a cleanser, gentle digestive for the stomach and liver tonic. It is excellent for all digestive problems, especially those accompanied by congestion of the digestive functions. It is tonic, stimulates digestive secretions, activates the liver functions and clears the gallbladder. Its action on the upper digestive system is quite complete. 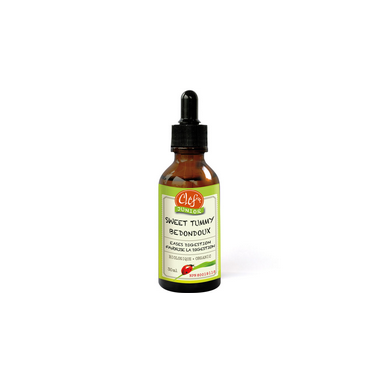 Take this blend for short or long periods when suffering from difficult digestion, a lazy stomach or congested liver. Adults: 40 drops (2 ml), 3 times per day, after or before meals. Begin with small doses to ensure that you have no reaction to the herbs. Dilute the glycerite in a mouthful of water. Do not mix with milk. Shake well before use. For long-term treatment, take 6 days out of 7.